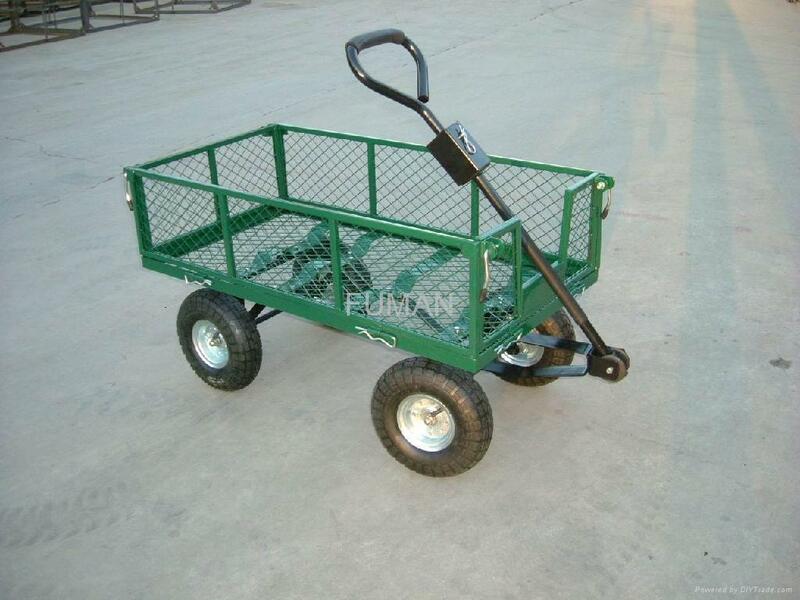 Features: Steel frame with steel mesh tray, 10” x 3.50 - 4 pneumatic tire with inner tube, steel rim and ball bearings. Steel tubular handle with a foam grip. 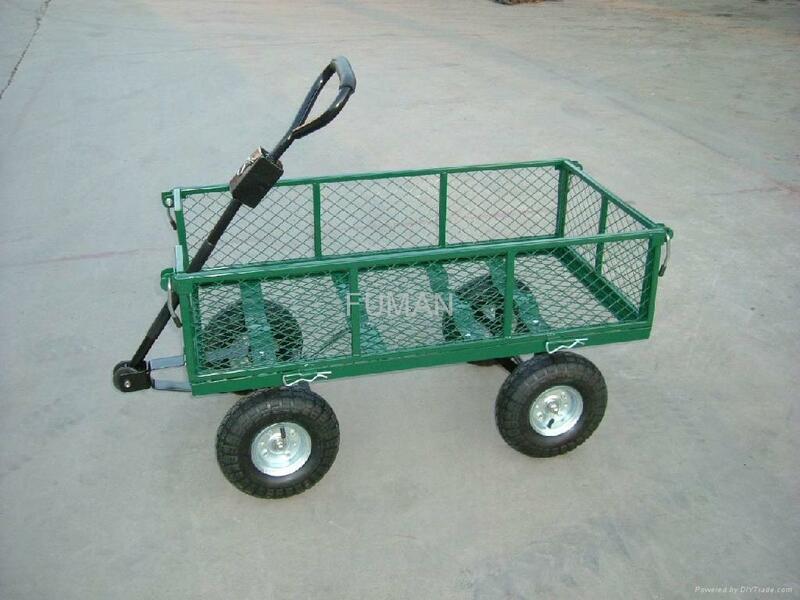 Green powder coating. 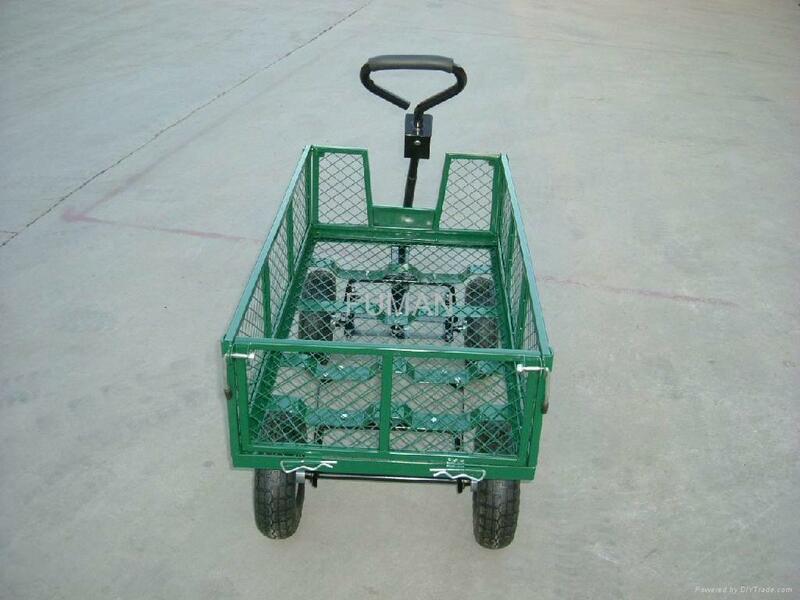 Cart overall size: 1150L x 530W x 870H mm, Loading capacity: 300 kgs. Packing: 1 piece into a master carton. N.W. : 20.8 kgs, G.W. : 22.4kgs. 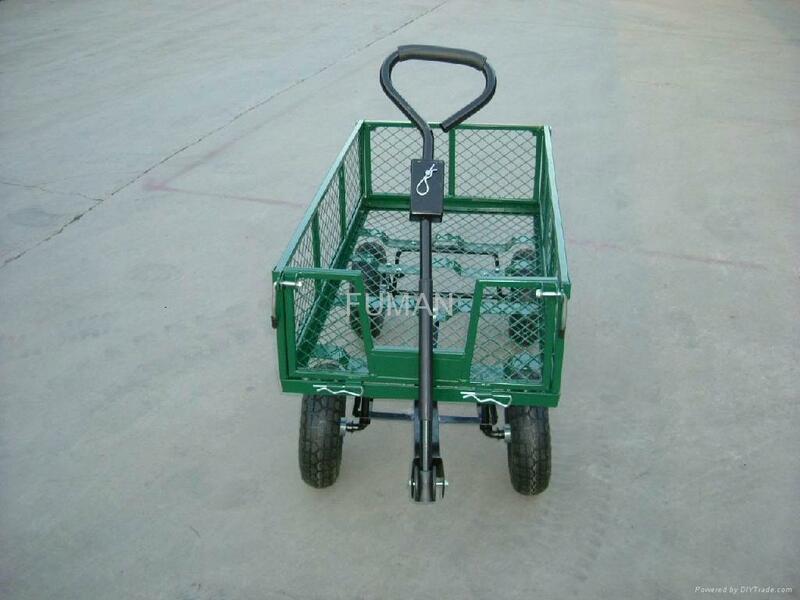 Loading quantity: 600 pieces per 40' Container.